I love a theme, me. Remember when I went Brazilian for the day? No I’m not talking bikini waxes here, just the weekend I almost ran away and joined a samba band and changed my name to Maria Consuela. It was fab. Not that I’m particularly a big fan of Brazil or anything, but it was still such a fun day. Tell you what I am a big fan of though: PIRATES. Way way back before Johnny Depp with his kohl eyeliner and shells in his hair, I used to sit in bed reading books by torchlight about John Rackham, Anne Bonny and Mary Read. While my mum went to work in Marks & Spencer on a Saturday afternoon I’d watch black and white swashbucklers like Errol Flynn, Douglas Fairbanks and Tyrone Power (you’d need to ask your Nan who they were) with a toy pistol tucked into my My Little Pony jogging bottoms and make my dad walk the plank (some cushions in a line on the floor). The same poor sod who had to go to the off license and get The Goonies out on video again and again and again throughout the 80s (back when pop came in glass bottles). You can imagine my delight when the Pirates of the Caribbean films came out, and how bloody excited I am about the next season of Black Sails coming out on Amazon Prime in January 2017. 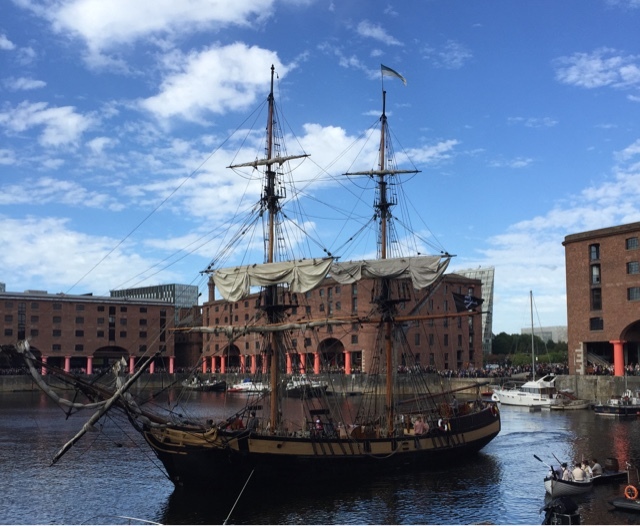 So yeah, with that background in childhood geekiness, you wouldn’t have to hold a flintlock to my head to persuade me to spend the weekend at Liverpool’s Pirate Festival and find the best themed places to go in the city while I’m at it. 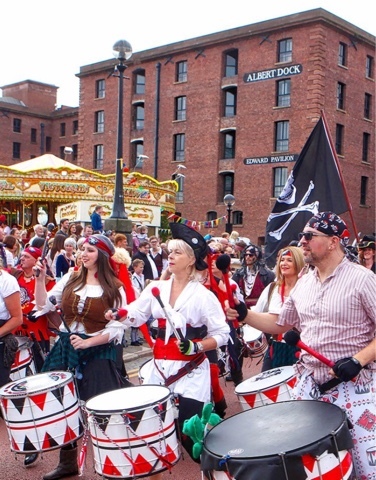 Naturally it only made sense to head straight to the festival itself at the Albert Dock to catch the 2016 debut of the Pirate & Mermaid Parade. I regret not dressing up for it, and want to go the whole hog next year (furiously researching authentic belt buckles and Pinterest worthy costumes as we speak) but we did pop into the fab little seafaring souvenir shop Nauticalia to invest in an eyepatch, telescope and pirate hook for two year old Primo which were very reasonable priced considering they had so many parents over a barrel (groan!) for the event. It was a great atmosphere and so nice to see so many kids dressed up (and parents too) in the parade led by the Mermaid of Black Rock and a band of pirate drummers with Jolly Rogers waving. 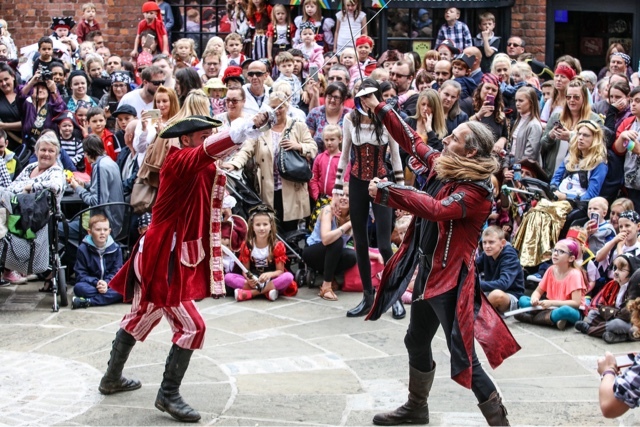 The pirate battle on the high seas (in the Albert Dock, where we watched from outside Costa Coffee) was spectacular – with the crowd encouraged to cheer or boo their favourite ship amid the sights and sounds of canon fire, theatrical pirate music and the smell of gunpowder. This year’s festival saw an authentic 18th century two-mast ship from the BBC’s Cornish period series Poldark sail into Liverpool (which made me want to rush home and catch up with season two on the iPlayer because anyone will tell you I’m a sucker for costume drama) alongside swordfights, storytelling, and the best Jack Sparrow lookalike you’ll see outside Port Royal. 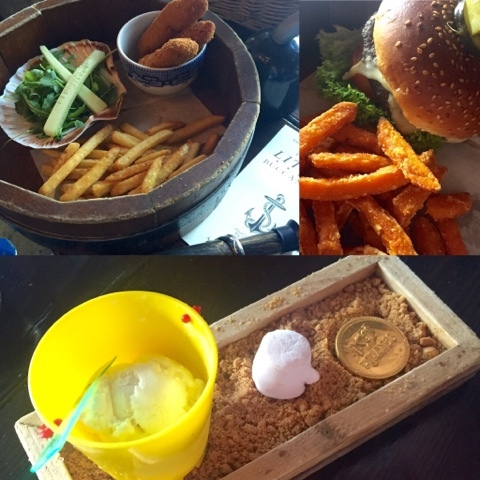 We headed for lunch at the Smuggler’s Cove also at the Albert Dock, a cavernous and atmospheric restaurant with fabulously presented children’s meals and a cracking rum list. It’s worth bearing in mind they don’t take bookings before 5pm and it is very popular so be prepared to wait for a table during the daytime. At £10 a pop for a burger it’s not exactly cheap, but it’s a good place to head for a fun themed tea in well thought-out surroundings. 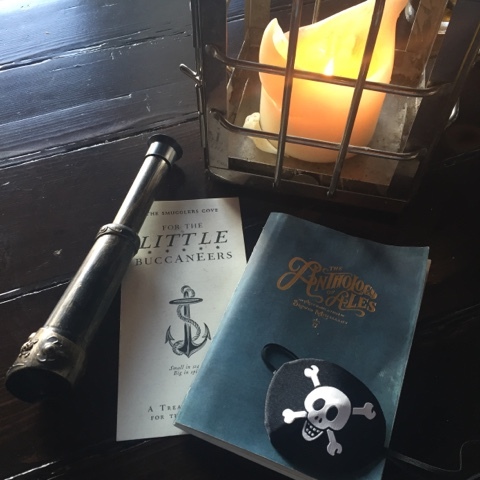 We waited in the candelit bar area until our table was ready in the airy dining room with dark wainscoting and themed decor overlooking the dock. 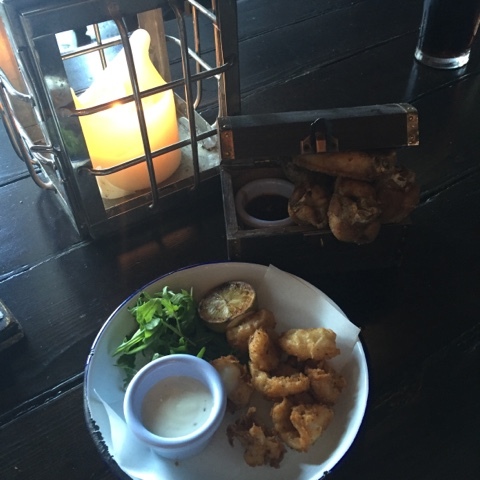 Primo loved his chicken fingers and chips which came in a barrel-style dish with side salad in a large clam shell, while the grown ups tucked into chicken wings in a treasure chest and calamari before our burgers. 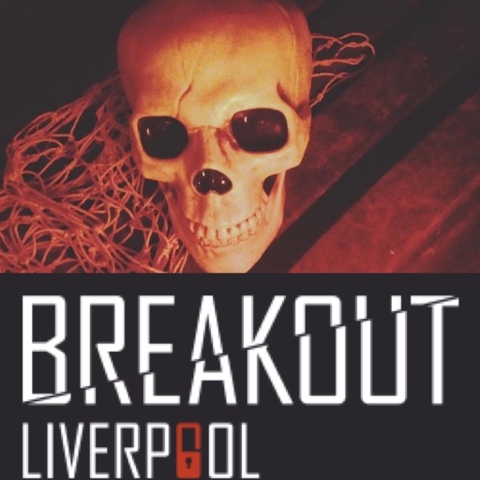 In the name of research (of course) I ditched the kid and went off to partake in a little grown up pirate themed fun at Breakout Liverpool. I loved it so much that I’ve done a separate little piece on it to give me chance to tell you all about it. It was something really different to do, and I’d never tried anything like it before. 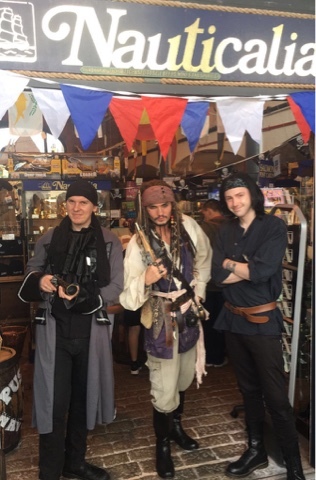 It was the highlight of my pirate weekend! 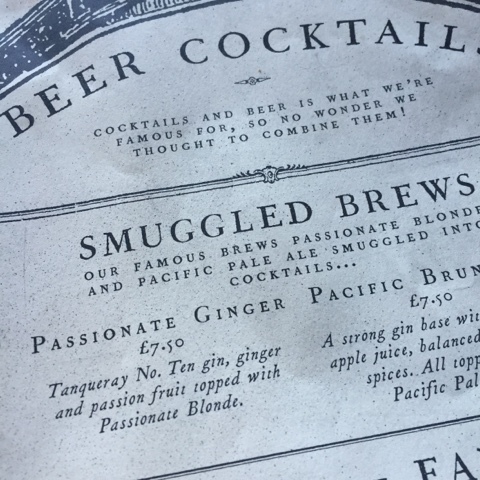 After a long day’s swashbuckling (or burger eating, people watching, and padlock fumbling) the natural port of call was Man’s Ruin, a newly launched bar serving up exotic rum cocktails and whose motto is “Work like a Captain, Play like a Pirate”. But beware, they’re only open after 6pm Thursday-Sunday so you’ll have to wait until nearer the weekend to try one their spectacular creations. 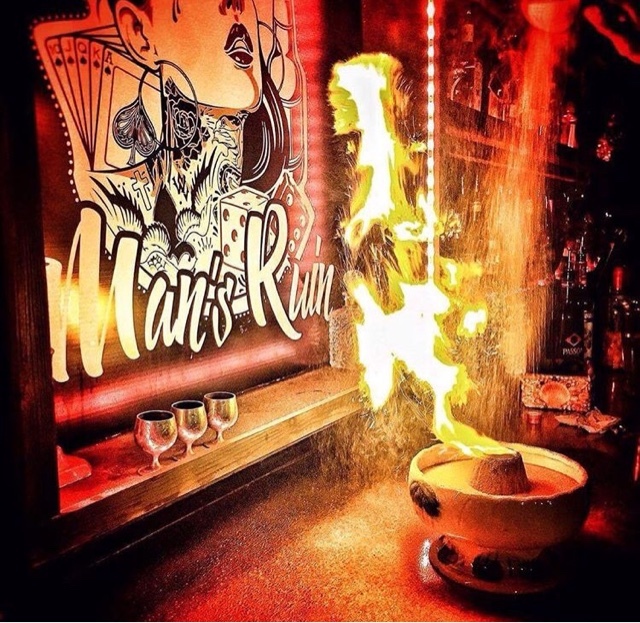 Try the volcano cocktail to share for a bit of fiery fun.